Through the course of Invisalign treatment, a patient receives a series of trays; which are called Invisalign retainers, each tray is worn for 2 weeks at a time. 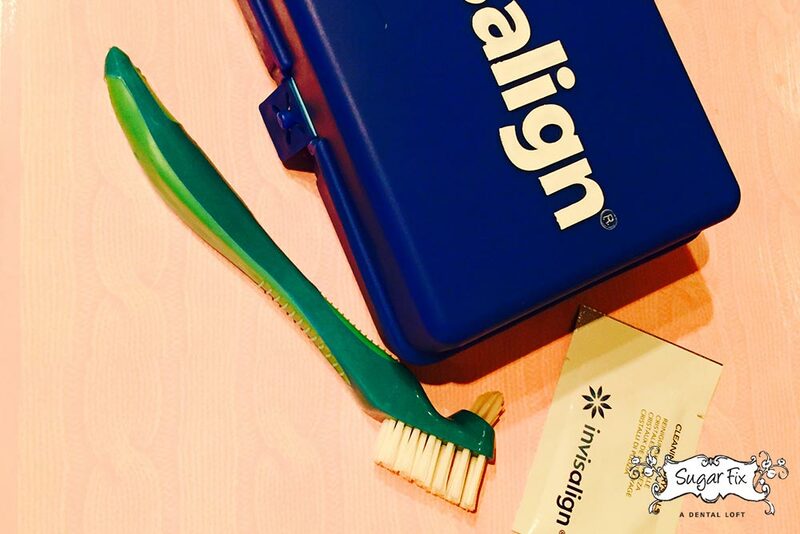 Even though they are only worn for two weeks, the mouth can really take a toll on your Invisalign trays. It is important to clean the trays each time you brush your teeth. The mouth has new bacteria in it every day that we regularly brush, floss and rinse away. When Invisalign retainers are sitting in the same environment, it develops and harbors that same bacteria. This is why it is necessary to clean your trays! To clean your trays effectively, Dr. Emery suggests that you get a denture brush with a small brush head or just a standard non-electric toothbrush. It’s important to clean the tray after you brush and floss your teeth. If your tray begins to have an odor, you can use baking soda or “crystals” that the Invisalign company sells on their website. It’s very exciting when you are on your final night guard or retainer! Make sure you follow the same home care procedure and be sure to bring it in to your dentist when you visit for cleanings. At Sugar Fix Dental Loft, we have a special cleaner that gets rid of tartar, stains, and any odors that may develop.